Have an ice cream lover on your gift giving list this holiday season? 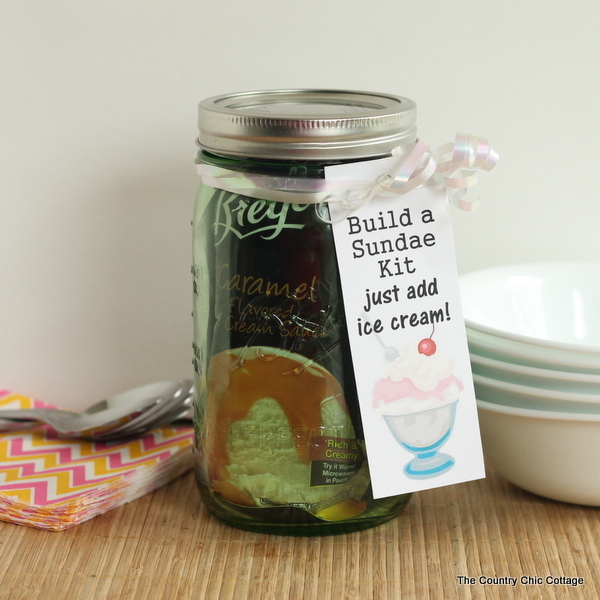 Make their day by giving them this build a sundae kit gift in a jar. This is a part of our gift in a jar series this week. If you have missed any of the fun, you can always check out all of the mason jar crafts here in the gallery. 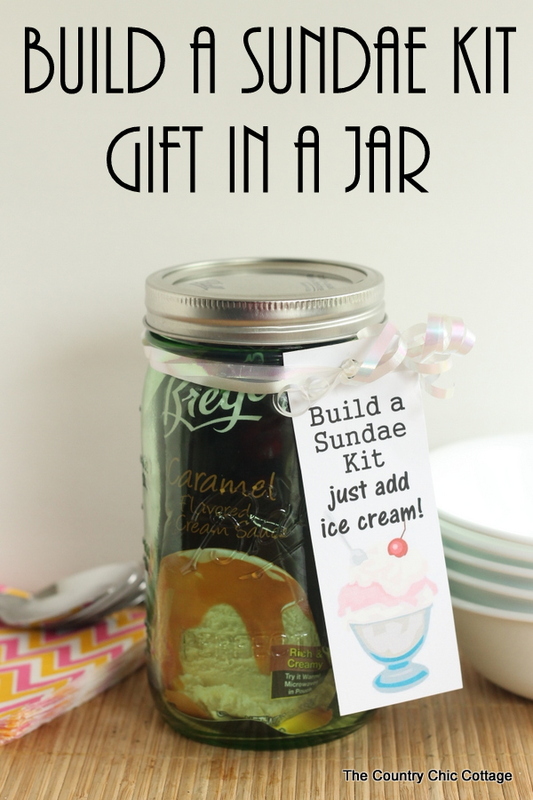 Now are you ready to see what is in this fun mason jar gift? 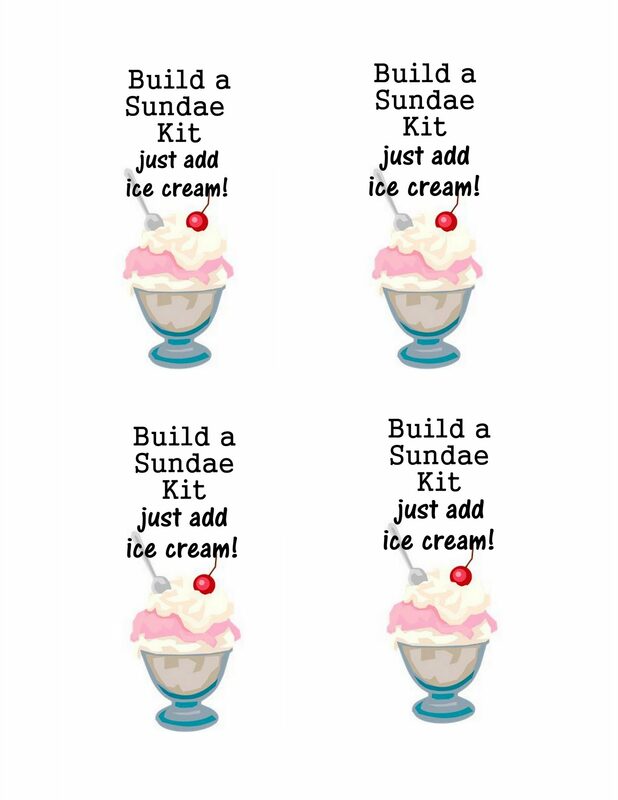 You will also need my build a sundae kit labels. You can click here and print the labels for free. I printed onto white card stock, cut to size, and punched a hole in the top. Add all of your items to the jar, tie on the label, and this one is ready for gift giving this holiday season. 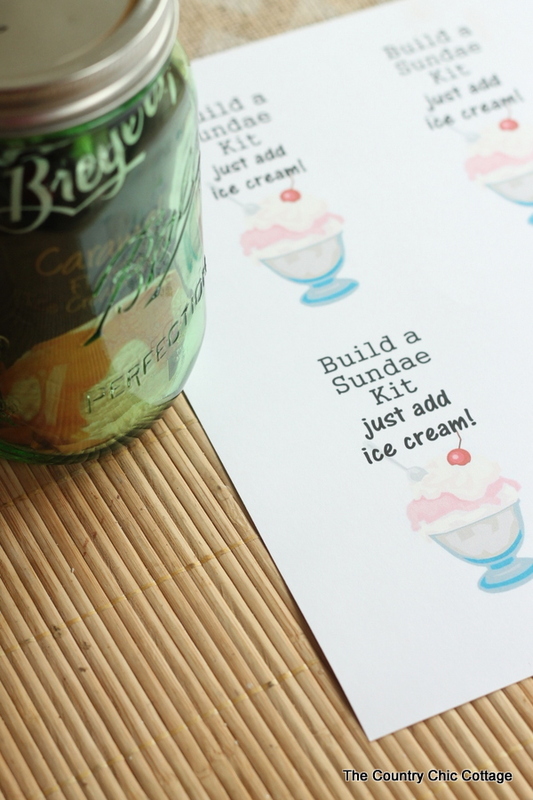 This build a sundae kit gift in jar is sure to please any ice cream lover! All they need to do is add the ice cream and a sundae party will begin! Love this and want more? 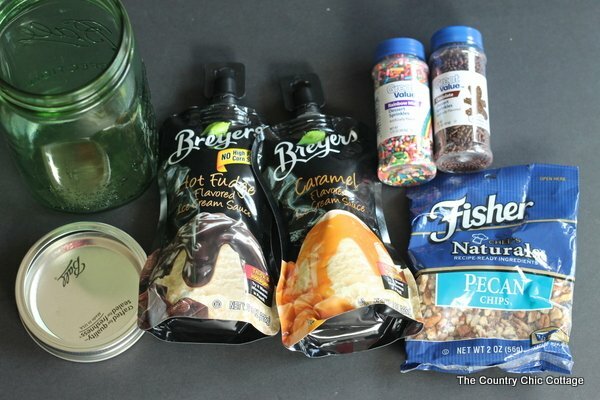 Follow our mason jar crafts Pinterest board for tons of ideas. Or you can follow our gifts in a jar board for jar gift ideas.